This horserace betting article describes the history and characters of National Hunt racing in the UK and Ireland. National hunt racing is the most popular form of horseracing in Ireland and the UK. It is also fairly popular in France. The race is basically an obstacle course for horses, where - opposed to flat races – competitors need to jump over a series of hurdles or fences. Its name obviously stems from the fox-hunting practices of the british aristocracy, that involved chasing down the animals on horseback and with the help of hunting-hounds. Roaming through the landscape in pursuit of a panic-stricken wild animal obviously involved a lot of jumping over different types of natural obstacles. The ever-present human need to find out who the best at this activity really was, led to the appearance of 'pounding races' – a type of racing-duel between two riders wildly popular in the southern counties of Ireland in the beginning of the 18th century. The first ever such race was organized in 1572, between the towns of Buttevant and Doneraile. Back then it was called a steeple-chase, - as it was run from one church steeple – in one town - to the other - in the other town. This race between Mr. Blake and Mr. O'Callaghan was to become the predecessor of another of Ireland's favorite horse racing genres. The Point-to-Pointing. The reason I'm bringing up Point-to-Pointing here is that many of the Irish horses that participate in the National Hunt are prepared for this "Queen of all horse-racing" by Point-to-Point racing. Point-to-Pointing is fairly big in Ireland, opposed to England where only horses too old to run the National Hunt are used for it. This might explain why the National Hunt has been dominated over the years by predominantly Irish-bred horses. The most famous Aintree Grand National winner was Red Rum who won it three times and was runner up twice and Arkle winner of the Irish equivalent. NB For the best information and free tips on horserace betting try TippingSports. The National Hunt season usually unfolds during the winter, word has it, because of the fact that the ground is softer then, however it might be because of the more obvious reason that in the winter it doesn't have to compete with any flat race events. The most prestigious point on the National Hunt calendar is the Cheltenham Festival. This is a privilege for hundreds of Irishmen to head over to Gloucestershire to the Cheltenham Raceway, drink unlikely amounts of Guinness, and gamble away millions of pounds during the four days of the event. 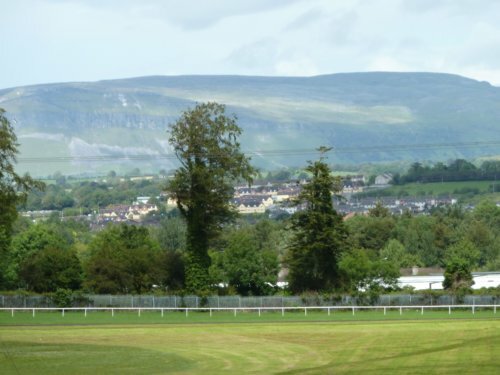 During these four days, which usually coincide with St Patrick's day in March, Cheltenham becomes a casino ( and lately an online casino as well) which sees thousands of punters, tipping and the usual bustle associated with horserace betting. The whole atmosphere becomes soaked with Irish-flavoured gaiety, favorites and underdogs are discussed, tips are given and taken, racecards are analyzed, ante posts placed and during all of this Guinness flows everywhere. Other such events of the National Hunt calendar are the Irish equivalent of the Cheltenham festival, the Punchestown Festival, and the Aintree Grand National meeting. Ayr and Chepstow are also important stops for the national Hunt, as they play host to the Scottish and the Welsh Nationals respectively. The comittment of the Irish Government to horse ( and greyhound) racing is obviously starting to pay dividends as horses and jockeys stay home instead of being exported to England. Because of this fact and because related activities like horserace betting and online gambling are also picking up pace, the future of the National Hunt never looked brighter. Due to the all-reaching information-arms of the internet the Cheltenham Festival and – implicitly – the National Hunt became better known world-over than ever before in their long and rich history.